Just 20 minutes from Palm Beach International Airport, Jupiter is a quaint seaside town located in northern Palm Beach County. Many find Jupiter attractive because it cultivates a relaxed and laid-back lifestyle uniquely combined with world-class restaurants, theater, and luxury shopping. Joggers and cyclists frequent Beach Road A1A, along pristine beaches, throughout the day, then flock to the upscale Harbourside Place at night for fine dining and entertainment. Residents also boat and fish on the Atlantic Ocean, Intracoastal Waterway, and the Loxahatchee River, all within a sunny setting. Summer is a mostly year-round phenomenon, with temperatures dropping as low as the 50s and 60s only briefly in January and February, then escalating back up to the 80s and 90s for the remainder of the year. Boasting a picturesque atmosphere that could easily be likened to a storybook, Jupiter is a wonderful, safe place to live or even purchase a second home, whether it's within an active family neighborhood, a peaceful waterfront condo, or a prestigious country club - there is something for everyone. The schools are top-notch, parks are beautiful, neighbors are friendly, and there is never a shortage of things to do. For the best shopping experiences, head to the luxurious Gardens Mall, just 10 minutes south, featuring Nordstrom, Saks Fifth Avenue, Tiffany's, Gucci, Louis Vuitton, and more. Just next to the mall is Downtown at the Gardens, featuring a Whole Foods, movie theater, children's play place, Cheesecake Factory, and more. I-95 and Florida's Turnpike are easily accessible, giving residents quick access to all that the paradise of Palm Beach County as to offer. Juno Beach, a small town tucked between Jupiter and Palm Beach Gardens, is a popular destination for those looking to escape the hustle and bustle of everyday living. It differs from Jupiter in that it is smaller and a bit less developed, though no less abundant in charm, character, and convenience. With Pelican Lake serving as its focal point, Juno Beach is a prime area for boating, fishing at the Pier, snorkeling, scuba diving, surfing, and more. 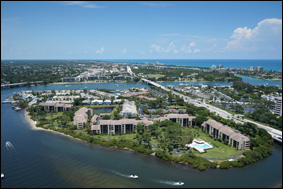 A variety of waterfront homes and condos lace the landscape, offering gorgeous scenery in a clean, quiet haven. 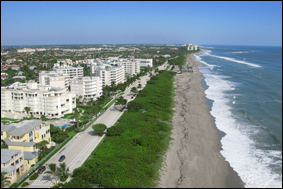 Juno Beach’s location is prime, as it is nestled not only between two government-controlled parks, but also between Palm Beach Gardens and Jupiter, two of the most popular areas in northern Palm Beach County. Within ten minutes north or south, residents enjoy quick and easy access to I-95, the Florida Turnpike, shopping, a plethora of fine restaurants, and entertainment at the Maltz Theater or Cinepolis Luxury Movie Theater. For more information and to see actual listings, visit the links on the left-hand side of the page. 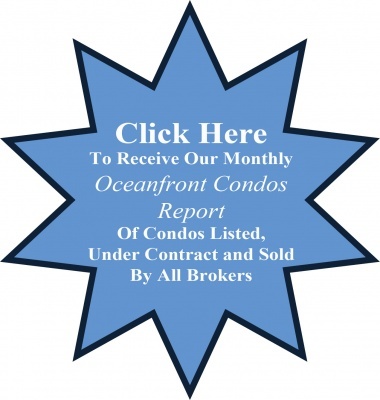 You'll see a mixture of beautiful condos from Juno Beach to Tequesta. To see our listings, you'll want to visit the Our Listings tab on the top left hand side of the page. 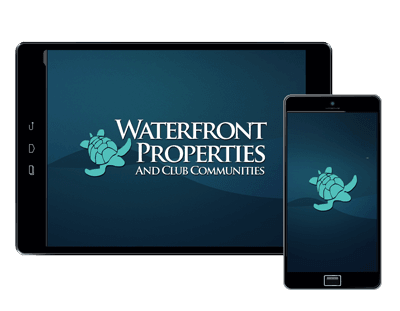 Please contact us, and we will be happy to assist you in selling or buying your Waterfront Property.